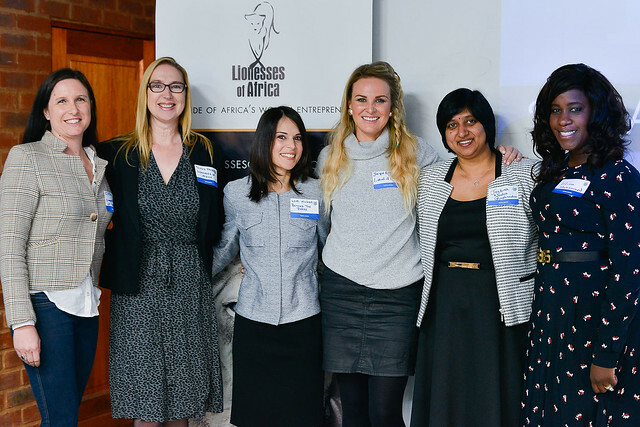 One of the highlights on the monthly event calendar at Lionesses of Africa are the Lioness Lean In Breakfast events, which take place in different cities and venues, bringing together some of the most inspirational women entrepreneurs to share their experiences and startup stories. The latest event took place on Thursday 19th May, once again powered by Standard Bank and hosted at their inspirational SB Business Incubator in Rosebank, Johannesburg. And, what a great event it was! 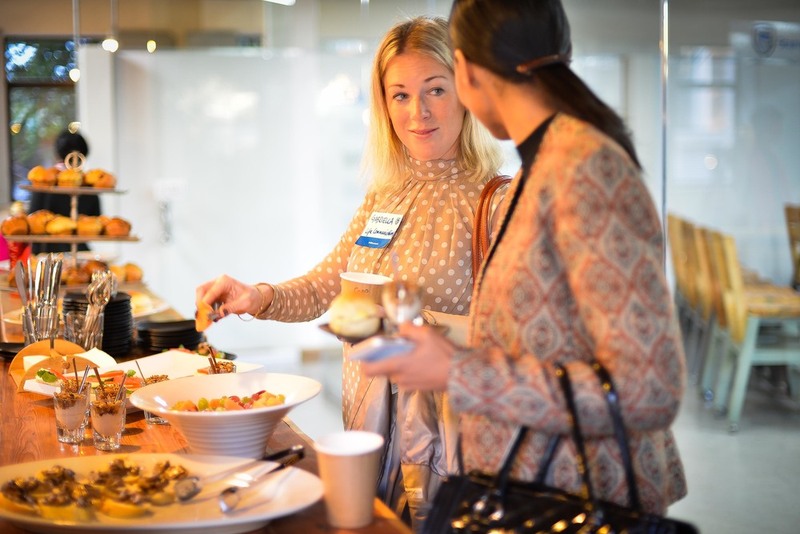 The Lioness Lean In Breakfast events are proving to be a huge hit with women entrepreneurs who come from across the country to listen to other successful women business brand builders share their stories, to inspire one another, and to network and connect for business success. This latest event attracted a capacity audience of 70 women entrepreneurs from around the city, representing a vast range of businesses in different industry sectors, from legal services to construction, and communications to fashion retail. On arrival, the attendees immediately got on with the business of the morning, enjoying some great coffee and breakfast created by the entrepreneurial team at Roast Republic, and of course, networking - lots of it! The morning got under way in true style with the start of the presentations by a panel of invited women entrepreneurs, all of whom are leading lights in their respective industry sectors. To kickstart proceedings, Lionesses of Africa founder and CEO welcomed guests and spoke about the importance of building a brand as a startup, introducing each of the speakers who would be touching on the subject as part of their presentations. The first speaker was Jacqueline Rogers, founder of Label of Love, a unique South African maternity fashion brand that is winning over legions of new fans and mums-to-be. She spoke about her eight year long brand building journey and the challenges of sourcing new investment for business expansion, something that resonated with many women entrepreneurs in the audience. Next up was best-selling author and entrepreneur, Lori Milner, founder of Beyond the Dress (check out our review of her current book written with fellow entrepreneur and media personality Nadia Bilchuk - Own Your Space), who talked about the power of maximising your personal brand as an entrepreneur, and leveraging that brand in the marketplace to gain competitive advantage. Lori was a huge hit with the audience who had lots of questions about personal and company brand building, particularly when she gave away two copies of her book to lucky audience members. The challenging subject of how to build and manage multiple companies, whilst at the same time trying to maintain some kind of personal life balance, was addressed brilliantly by Karen Wessels, a serial entrepreneur and co-founder of two successful companies VA Connect and SnapSales. She spoke frankly about how on a practical level she has built two successful companies from scratch, and how today she manages multiple companies and brands in different locations. Following on the brand building theme, but from the highly competitive world of the fashion accessory manufacturing and retail perspective, Lilian Muhammed, founder of luxury fashion accessory brand Londre Tan, shared her experiences of moving from the corporate fashion world to launching her own proudly African luxury brand. To round off the day, Jayshree Naidoo, Head of the Standard Bank Business Incubator, spoke about the services and support available to women entrepreneurs on their business journeys, inviting attendees to visit the Incubator and meet with her team.